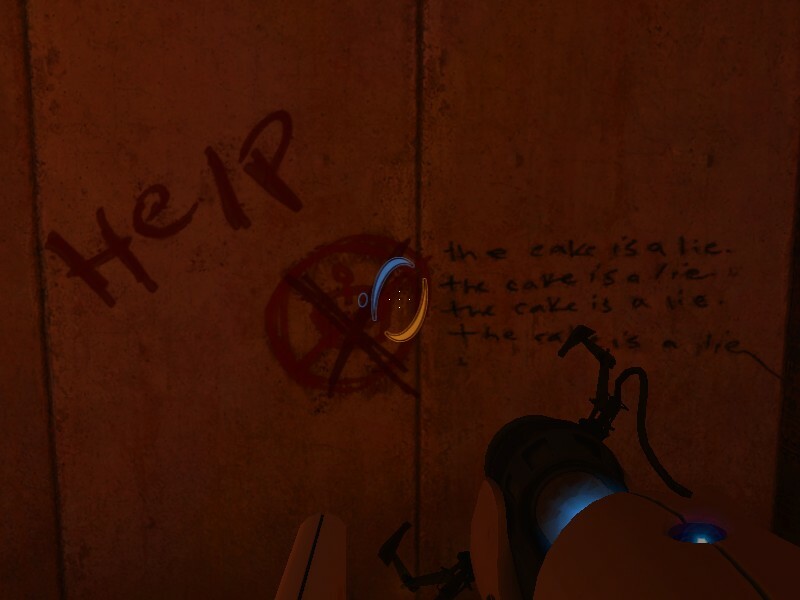 After the wall scribblings The cake is a lie in various places and GlaDOS confirming that there will be no cake, at last we were led to the cake. But does the cake really exist ? Or is it a lie ? At last the answer was found . The Black Forest cake comes from The Regent Bakery & Café in Redmond, Washington . Valve didn’t go through any kind of rigorous cake tasting process or hold a cake survivor contest in order to determine which delicacy would make it into the game, it merely picked the best looking confection from a café near the company’s headquarters. 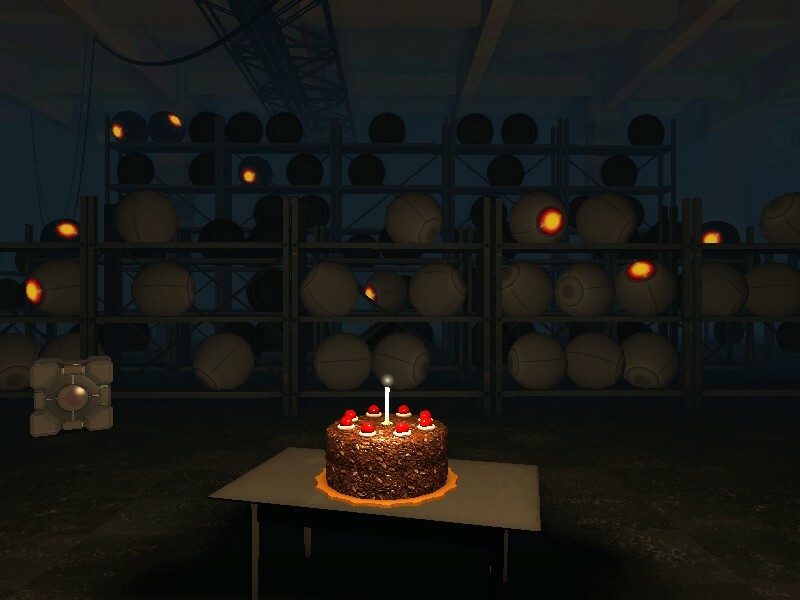 After the release of the game the this Black Forest “Portal Cake” has been one of the popular items. (Wikipedia). 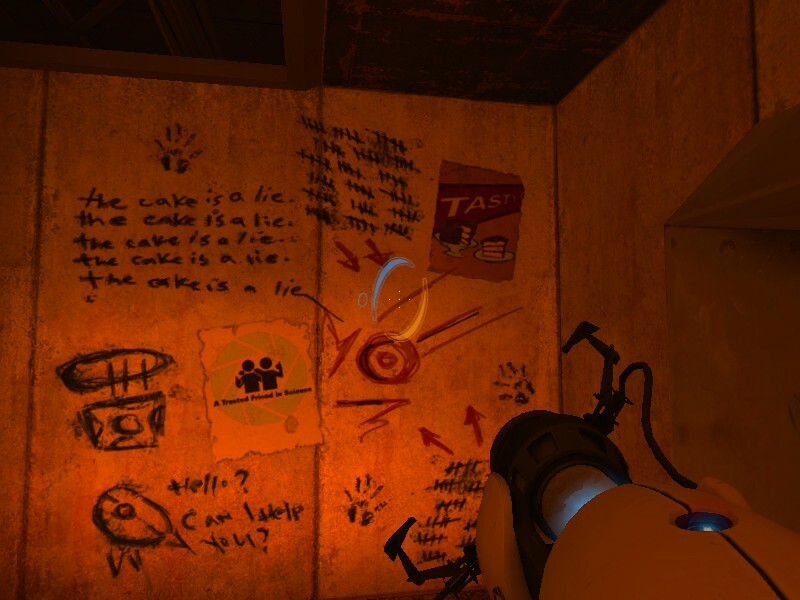 So to have the taste of the portal cake, which is not a lie, you need to cross one last test chamber and go to The Regent Bakery.